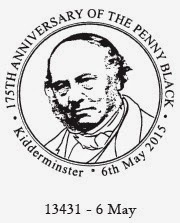 On the anniversary of the official first day of use of the Penny Black, a number of opportunities are available. 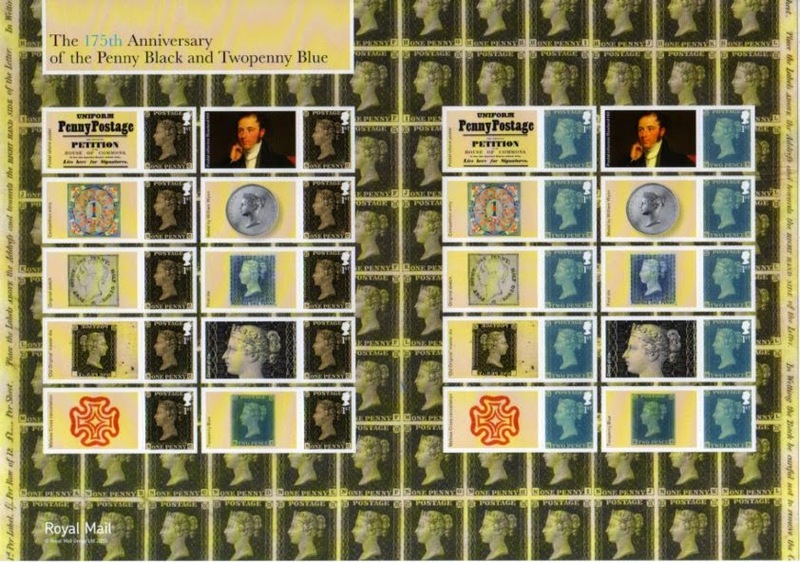 Thanks to Chris N we can show the Post and Go Faststamps available from the British Postal Museum and Archive. Also on sale today the 1d black / 2d blue gummed miniature sheet, which should be in most Post Office branches, the 6 x 1st class retail booklet which will be in fewer branches on the first day but should reach most of them after the London 2015 exhibition which it advertises is over, and a Generic Smilers sheet, which will be in even fewer PO branches. The generic sheet is the only source of the self-adhesive 2d blue. 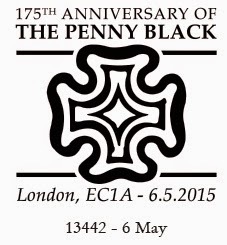 And a slogan postmark being applied to letter post today, which will be a rare case of a stamp-related operational postmark being available on and announced in advance of the day of issue of the stamps, not only on these special stamps but also on the BPMA Faststamps. There are also plenty of special handstamps which are on our website. BPMA only had a very limited quantity of 1st class machin stock this morning, and ran out by just after 1pm. 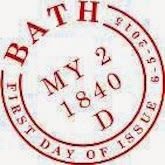 No further stock was available for today, so only limited quantities of first day stamps produced before it ran out. 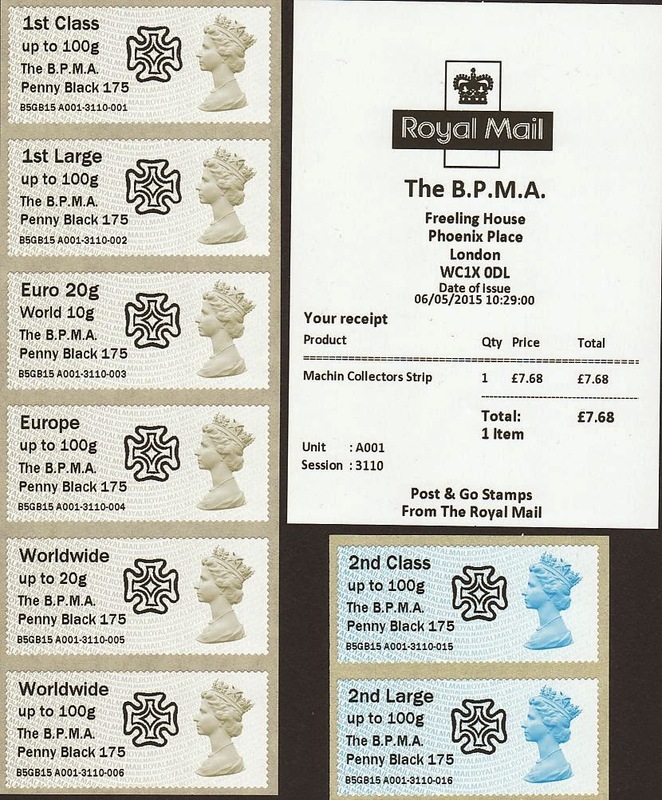 I see there was a text shift error on 2nd class stamps produced yesterday lunchtime at BPMA. Examples are being offered on eBay - item 381251608181. Looking at the miniature sheet in the presentation pack I received there is a upward phosphor shift. This has left the bottom row stamps with their bottom perfs clear of phosphor. Does anyone know why the generic smiler sheet says "Twopenny Blue" while it is actually two _pense_ ? There's no mistake here. 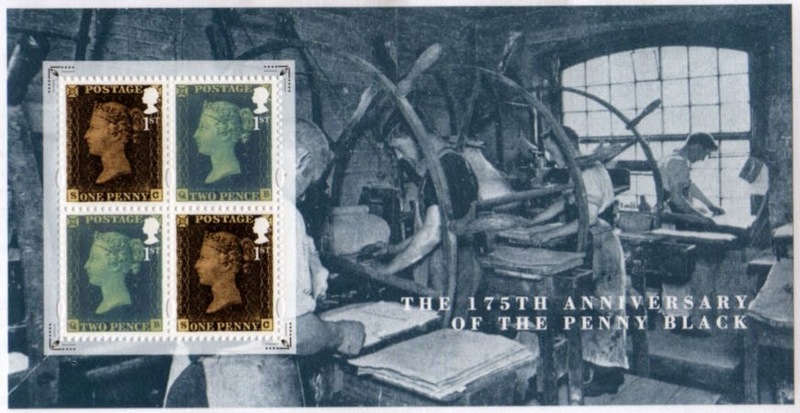 The value of the stamp was two pence (not pense), pence being the plural of penny (as a value; the plural when referring to penny coins is pennies). Something worth two pence (or twopence, pronounced 'tuppence') is described as twopenny (pronounced 'tuppenny').